You thought we'd run out of awesome words for The Cirque by now, didn't you? Nope. We could go on and on. You found our largest two-bedroom ground-level unit. You get lots of light with extra windows and a comfortable patio all for the price of one condo! Are you noticing the pattern yet? 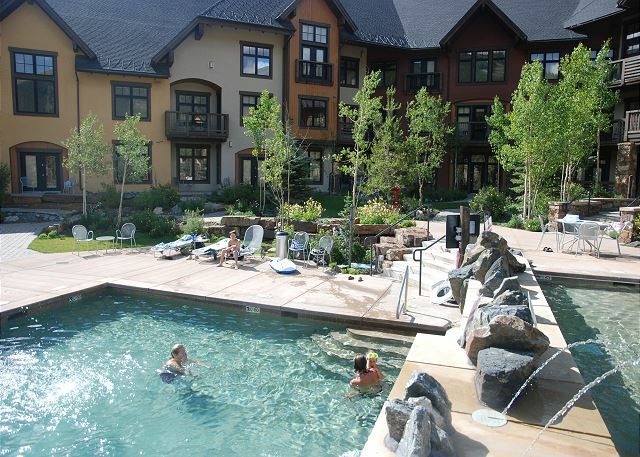 You've found yet another one of the only seven poolside condos at Copper Mountain. Yep, we have a bit of a monopoly at the Cirque so you might as well just book one already! The Cirque is a kid’s (and adult’s) dream. You're just a few steps away from the heated pools and hot tubs from this condo. Play hard, rest well in this platinum-rated lodge. You won't regret it and you won't want to leave this Cirque mountain oasis. Psssst. We have a secret. And, of course, we're going to tell you! This condo sits just a tad back from the base of the mountain, so the views are WAY better than in the condos up close. REALLY! You'll thank us for this tip while you relax on the balcony. Are you tired of staying in boring cookie-cutter condos and hotels with cheesy art? Then this one's for you! This large one-bedroom, one-bathroom unit sleeps 4 in 2 queen beds, and offers loads of flair and personality. You'll get a real chalet vibe. Are you a bigger group with a smaller budget? Then this spacious Summit House one-bedroom unit is perfect for you. It is a large one-bedroom with 780 square feet - about 200 more square feet than most other one-bedroom condos at Copper. 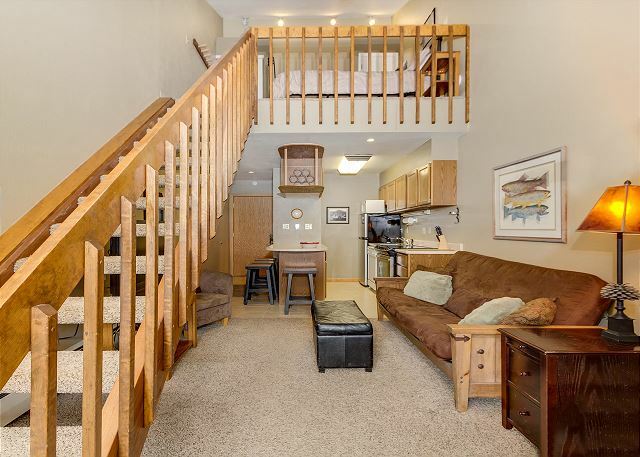 If you've always wanted to stay in a ski-in, ski-out condo, but haven't had the budget for it, then this is the perfect studio condo for you! 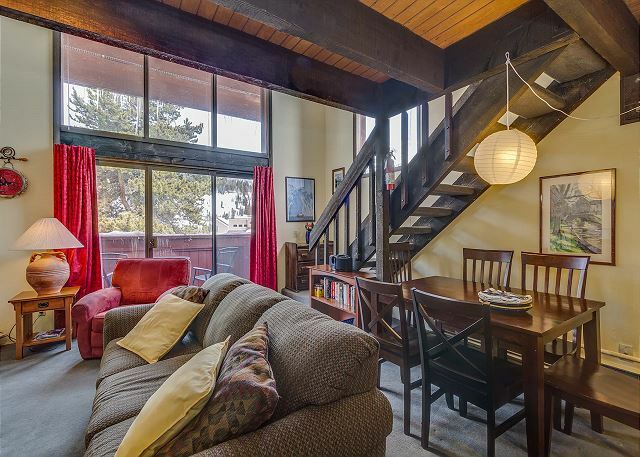 This small studio condo with loft accommodates 4 people. 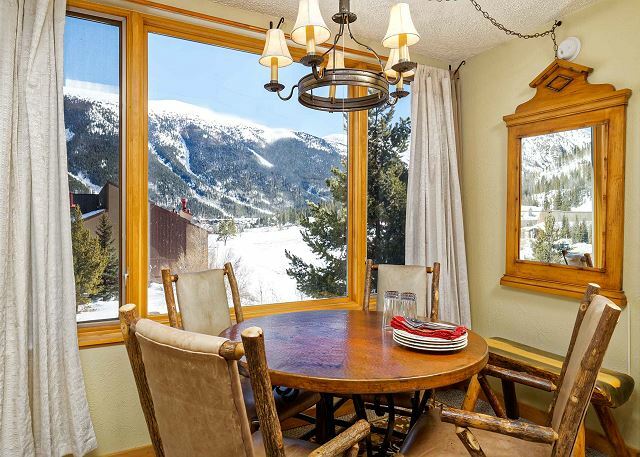 Does worn-out furniture and cheesy art get you down while searching for ski condos? Well do we have a condo for you! This one-bedroom Passage Point condo was just remodeled including new carpet, paint, furniture, TVs, decor, kitchen items and more! 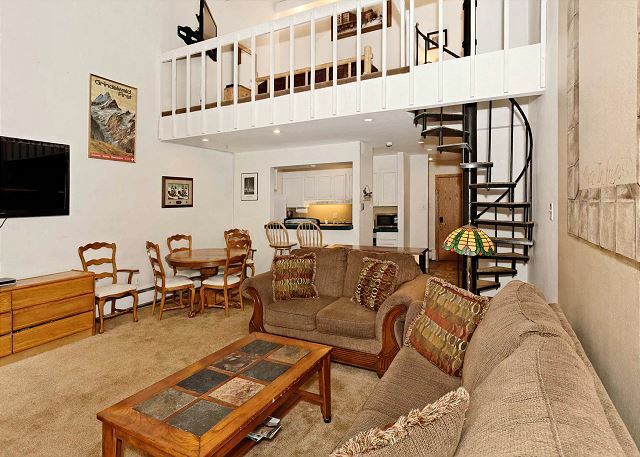 After a great day on the mountain, this premium one-bedroom condo will be your cozy sanctuary. This condo does NOT face the noisy interstate, like so many of the condos in Passage Point, and the view - amazing! Hands down, the best feature of this condo is location, Location, LOCATION! Oh, and the fact that it's heaps bigger than 2BR condos in the newer buildings. Gotta hand it to the architects of the 70's! You'll have a blast people-watching from the sun room! 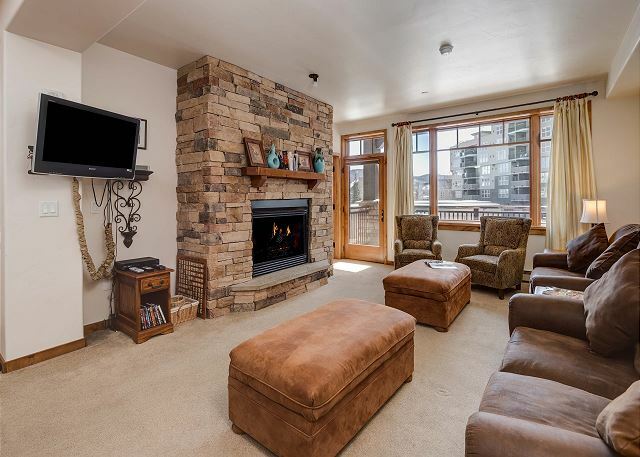 Congratulations - you've found the least expensive ski-in, ski-out condo of its size at Copper! AND, it's pet-friendly. We know you’ve always wanted to stay in a ski-in, ski-out condo, but couldn't handle the cost, so this is the perfect place for you! 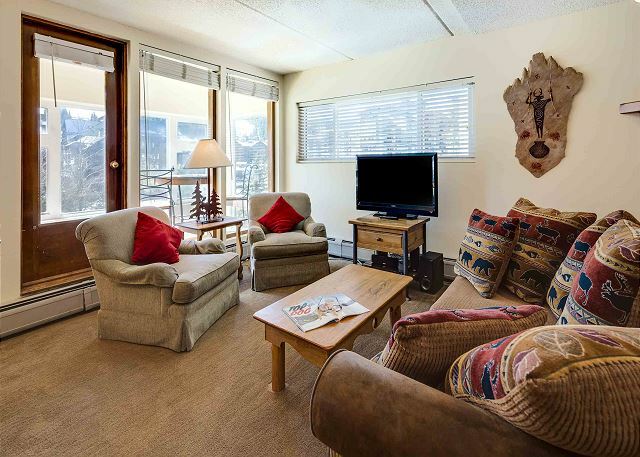 At the end of an amazing day on the mountain, you'll relax on this condo's perfectly located balcony and watch the last skiers and riders descend down Carefree and Loverly runs. It's quite a spectacle! Are you an active family in search of a home away from home? You found it! Your kids will beg to come back to this condo year after year, not just because of the great slopeside location but also for all the fun extras provided. You found our Gem in Copper Junction, Coppers premier ski-in, ski-out location. This modern retro-ish, remodeled condo is right next to the American Eagle lift. Many condos in Copper Junction are still old and funky, so this one is a diamond in the rough! 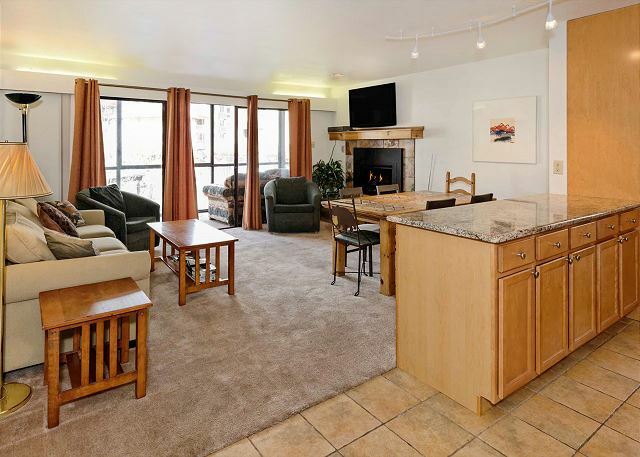 You found it - our Mother Lode ski-in, ski-out condo at Copper! It's our nugget because it's not only a spacious penthouse at 1240 square feet, but it's ski-in, ski-out, pet-friendly and accommodates a party of 10. 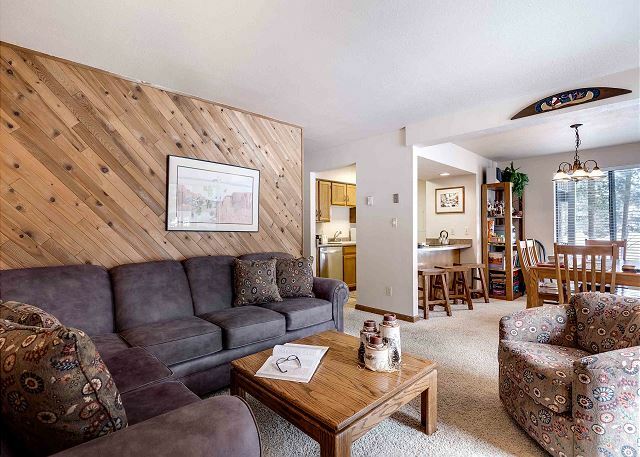 This spacious Timberline Cove condo offers all the comforts of home for your winter or summer vacation. 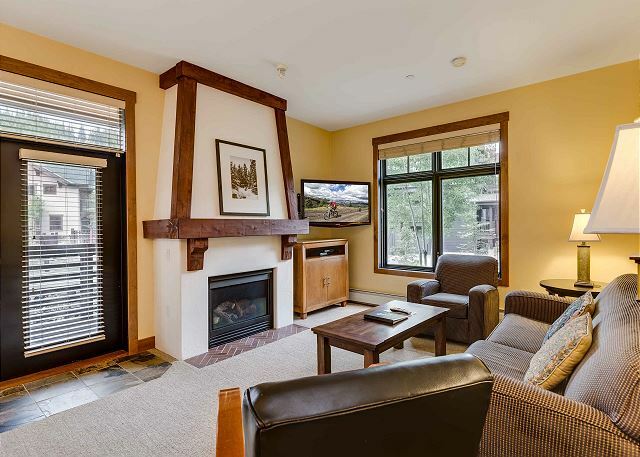 Located in a quiet complex on the shore of Lake Dillon, this lovely Frisco condo is in the middle of Summit County - Colorado's beautiful playground. This Frisco condo is truly in the center of it all, located conveniently off I-70 and central to all of Summit County's recreational opportunities. Enjoy the comforts of home in this 1800+ square foot, 4-bedroom, 3-bathroom property in historic Frisco. Bingo! 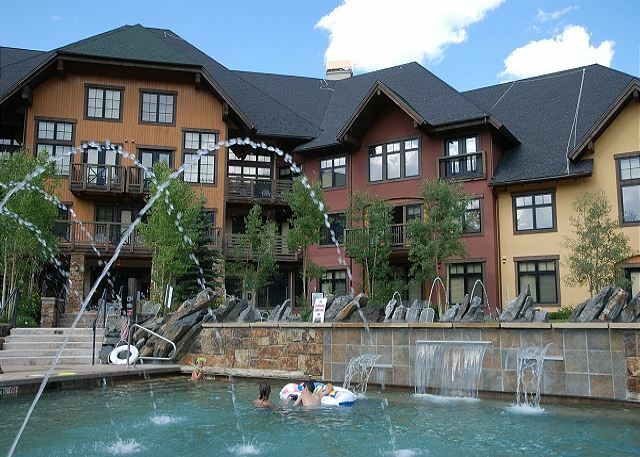 You found Copper Mountain's only platinum-rated building and you won't want to stay anywhere else after you've stayed here. We know you've always coveted The Cirque, but couldn't swing the cost, so here's your chance to stay for less. If you want to be away from the activity of the pools and hot tub, then this ground-level Cirque condo is the one for you! Yes....of course you can still enjoy the BEST courtyard at Copper just steps away!